The family that founded Aldi Nord in Germany is in the midst of a dispute over the family fortune and company ownership. Cäcilie Albrecht, who died in November 2018, was the wife of Theo Albrecht, who founded Aldi Nord in Germany and acquired Trader Joe’s in the U.S. in the 1970s. (Theo’s brother, Karl, founded Aldi Süd in Germany and Aldi in the United States.) In her will, Cäcilie, known as the “grand dame” of Aldi Nord, cut her daughter-in law and grandchildren out of the company, and said they should no longer play a role in the company going forward. In her will, Cäcilie explained why. She accused Babette Albrecht, widow of Cäcilie’s late son, Berthold, and Cäcilie’s five adult children, of lavish spending, according to The Guardian. Cäcilie further accused Babette and her children of of siphoning €100 million ($112 million) from one of the company’s foundations, and of blocking company decision-making. The family members named in the will have denied the allegations. A record-breaking amount of cocaine was found in banana crates near Aldi stores in Mecklenburg-West Pomerania in north Germany. Employees at six Aldi branches in Rostock and at the Aldi logistics centre in Jarmen, near the Baltic Sea islands of Usedom and Rügen, found around 500 kilograms, or half a ton, of the class A drug tucked into banana boxes Wednesday. The drugs’ street value may be around €25 million. The banana cartons with cocaine packets reportedly came by ship from Latin America. The spokesman was not at liberty to disclose which ports they were shipped through. The State Criminal Police Office (LKA) says this is likely the largest amount of cocaine ever found in the northeast state of Mecklenburg-Western Pomerania. An Aldi spokesperson confirmed the events but did not provide further details. Aldi has announced it plans to make 100% of its packaging out of reusable, recyclable, or compostable materials by 2025. 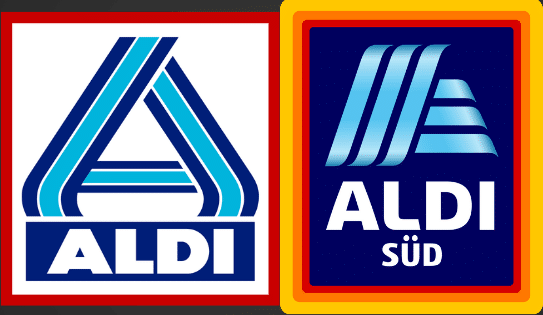 Aldi also intends to reduce packaging material in all of its Aldi-exclusive products by at least 15%. Aldi also plans to have 100% of its packaging feature the How2Recycle label, a standardized labeling system that makes it easier for customers to recycle, and the discount grocer is aiming to make its private label product packaging easier for customers to reuse. This move comes as awareness is growing about sustainability and environmental welfare, and many companies are looking for new ways to reduce waste and move away from single-use plastics. Aldi has never offered or sold single-use plastic bags, and it estimates this move has helped keep about 15 billion plastic bags out of landfills and oceans.